Pilkington Architectural Glass has developed and patented a range of security glasses called DATASTOP - both laminates and sealed units - specifically designed to reduce the transmission of EMI / RFI (electronic noise), UV (Ultraviolet) and IR (Ifrared). 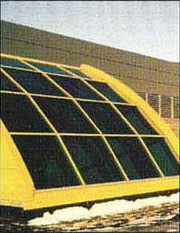 DATASTOP & TEMPEST IR glass are marketed worldwide exclusively by Tempest Security Systems. 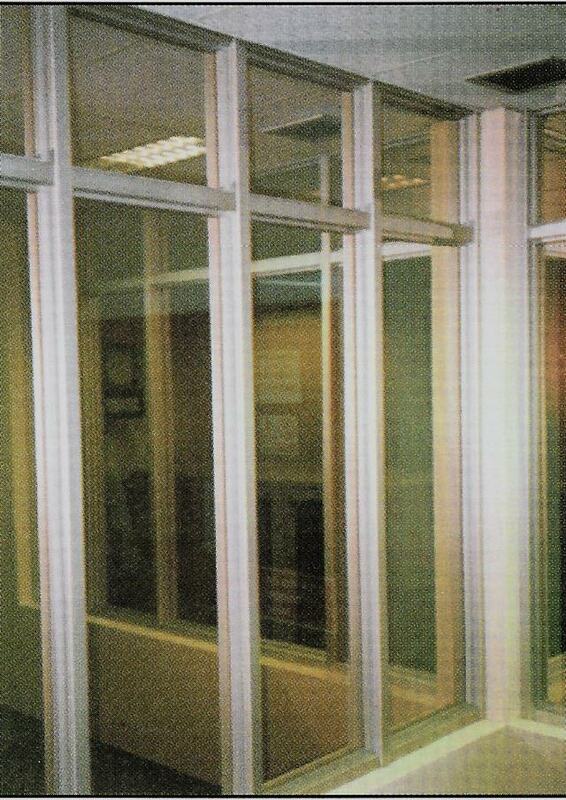 DATASTOP glass can be used as windows or glazed panels in conjunction with shielded external walls, internal partitions or enclosures designed to provide good attenuation using the "Faraday Cage Principle". 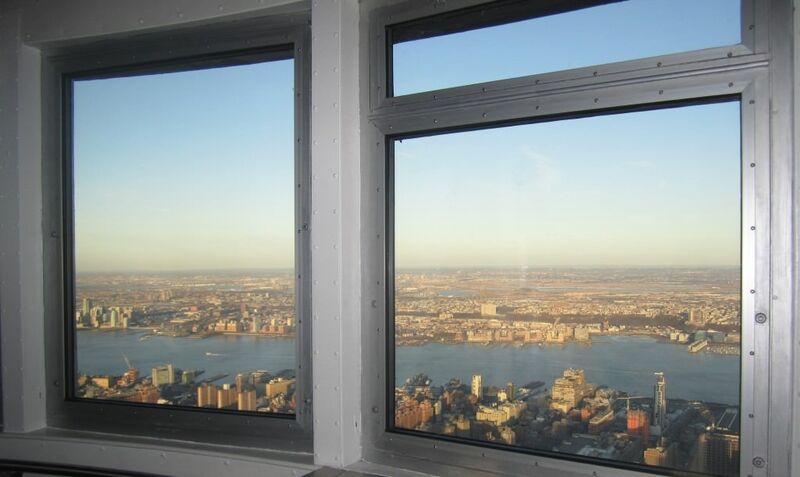 DATASTOP glass can be used in the external and/or internal glazing of buildings, viewing panels in shielded cabinets, and OEM viewing panels to meet most shielding regulations. Pilkington DATASTOP glasses can be used in a wide variety of applications where protection from electronic interference is needed. For internal rooms, cubicles or partitions the laminated (TL) versions are recommended while for external glazing, the sealed unit (TD) versions should be used. When offices are being refurbished for EMI control purposes, the window can be replaced or alternatively a single piece secondary sash can be installed using laminated or double glazed DATASTOP. For new office complexes incorporating computer facilities and terminals, the complete glass curtain wall can now be screened using DATASTOP glass. The advantage of discussing such screening methods at the design stage cannot be overstressed, since there is the option for screening the complete building envelope incorporating excellent solar control and thermal insulation as necessary. 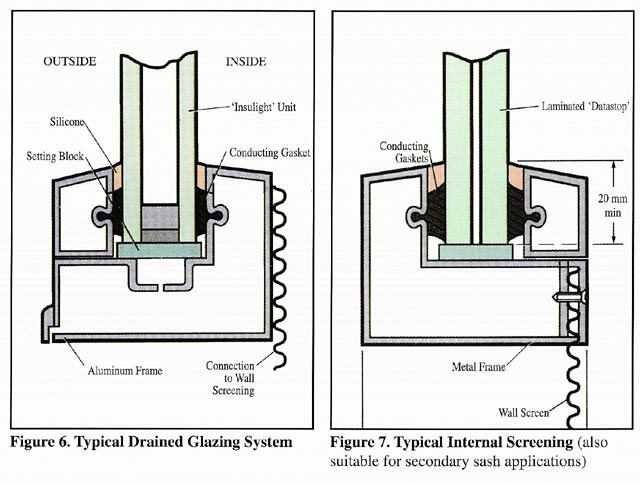 In order to maximize the screening effect of the whole building it is essential that the total periphery of the glass is electronically connected to the metal window frame which in turn should be connected to the screening material in the wall. After installation an initial "audit" is recommended to measure the attenuation of the total screening. This should be repeated periodically. 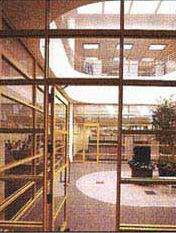 DATASTOP glass carries a 10 year warranty and requires no maintenance beyond that required for any conventional glass. As with all double glazing units, "Datastop" units for external glazing should be installed in accordance with good practice, and following the recommendations in the leaflet "Insulight" double glazing units - Installation and Maintenance. 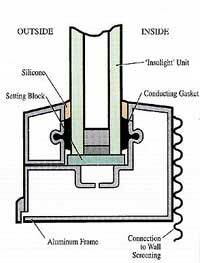 The signal attenuation of DATASTOP Glass is achieved by the use of several layers of specially developed coatings which are effective in the electric field by reflection of the signal. 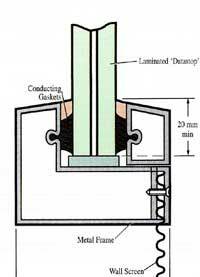 The attenuation provided will depend on the characteristics of the signal, and the electrical connection at the glass edge. The unit of attenuation is a logarithmic one, the decibel (db). The graph in Figure #1, shows the relationship between decibels and the percentage attenuation (reduction) in the electric field. 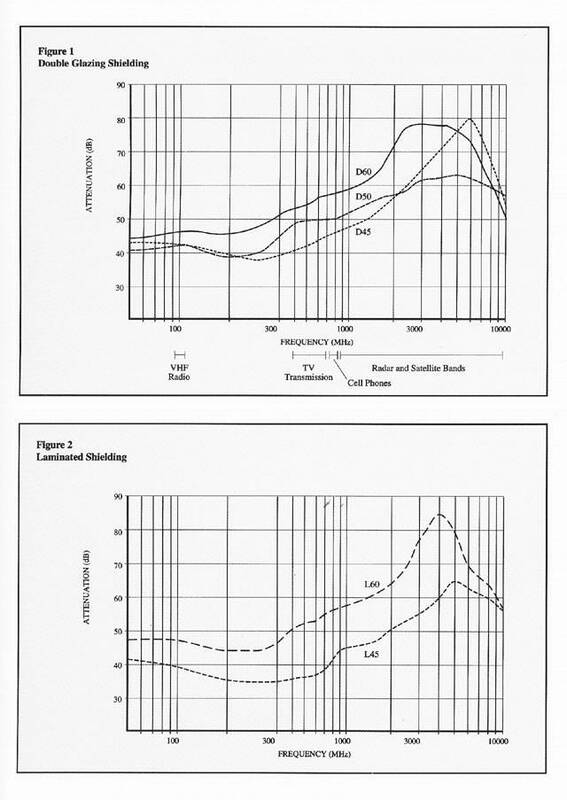 The attenuation performance was measured using a test sample of approximately 1m² inserted in the wall of a 2.5m cube screened room for frequencies up to 1GHz (1000 MHz). For frequencies above 1GHz a 1 meter cube screened enclosure was used.